Join Dr. Massad on the go or at home with his streaming CDE video covering impression making for the edentulous, immediate partial, highly mobile teeth, precision implant, implant overdenture, closed and open implant level procedure, plus accurate relines for immediate and overdenture patients. Take precise impressions of edentulous patients that will allow excellent restorations and doing that in one appointment instead of two. Eliminate the surprise of an unexpected extraction when Impressioning the patient with mobile teeth for Immediate and/or partial dentures. Accomplish enhanced impression procedures in the most difficult implant variations such as Stud Abutments and Complete Fixed Prosthesis. Complete a predictable impressions to successfully reline the Complete, Immediate and Implant Over-dentures. 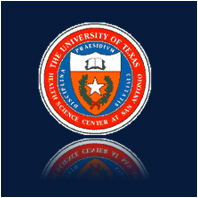 Reedeem Credits online, chapter by chapter via the University of Texas San Antonio.